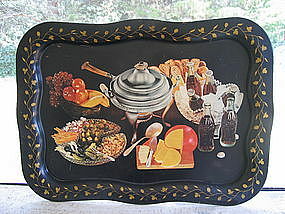 Vintage metal tole tray measuring 18 1/2 x 13 1/2 inches. There are no dents or warping, but there are scratches and small loss of finish on the front and back. Complete disclosure photos are available by email. I need your zip code to calculate the postage. 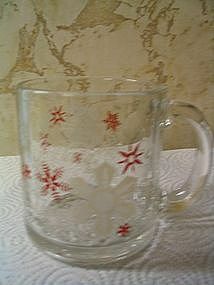 12 ounce mug made in the USA. Little if any wear to the snowflake design. 3 mugs are available and priced individually. I need your zip code to calculate the postage.